The Warne's Maxima AR-15 Flat Top Rings are highly recognized by law enforcement agencies and other professional operators of the AR-15 weapon platform. The quick detach return to zero feature allows deployment of multiple sighting systems giving the operator the choice of equipment depending on the situation. 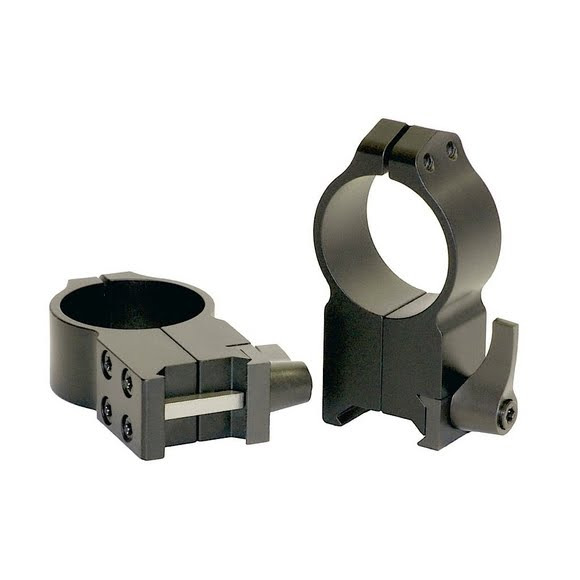 The Warne&apos;s Maxima AR-15 Flat Top Rings are highly recognized by law enforcement agencies and other professional operators of the AR-15 weapon platform. The quick detach return to zero feature allows deployment of multiple sighting systems giving the operator the choice of equipment depending on the situation. Maxima AR-15 Flat Top Rings are precision CNC machined from sintered steel technology, or aircraft grade aluminum for reduced weight. Both models incorporate the Warne stainless steel recoil control keys for superior recoil absorption and a positive lock for guaranteed return to zero. The Maxima AR-15 Flat Top Rings also feature the Warne Quick Detachable double lever system for fast removal and installation. This feature allows use of multiple optics without the loss of zero. The rings are designed to locate the reticle of the optic to be precisely the same height as the factory iron sights, giving the operator the same positioning behind the weapon regardless of which sight system is being deployed. Maxima Magnum AR-15 Flat Top Rings are ideal for operators who may require different types of sighting systems depending on the situation.